VegasCasino.io are your one stop shop for the very best that Bitcoin gambling can offer. Not only does this website offer you online casino games, but they are also an online sportsbook, live casino, and live games domain, all under one roof. They represent one of the few Bitcoin accepting brands to offer such services. 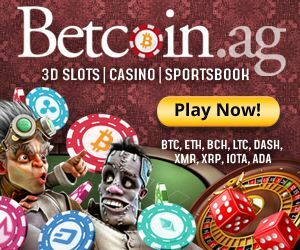 Their bitcoin sportsbook – which only launched in 2015 – is also ready to accept players based in the USA, and there aren’t too many competitors which can say the same. Should you decide to pop along to their casino site, what can you expect to be able to play? 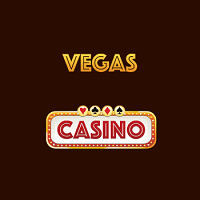 Vegas Casino is equipped with blackjack games, video slots, roulette, traditional casino table games, video poker, online scratch cards, keno, and lottery games, as well as jackpot slots. They have all avenues covered, then. Players will be able to find seemingly anything they wish to play, with many of these top slot machine games having been developed by BetSoft, and therefore a lot of them are 3D slot machine games. Live dealer games can also be found at this site, if you like a touch of realism to your gaming. If you fancy a punt on your favourite sports, then there is an extensive range of sports bets available for you at VegasCasino.io. The BTC site carries sports bets on all of the major sporting events, including football (soccer), American football, basketball, baseball, hockey, and much more. E-sports are also there to be bet on at this domain. If it’s big, and it’s happening, then Vegas Casino’s sportsbook will cover it. They even carry live in-play bets, if you want to keep a closer eye on the action as it unfolds. 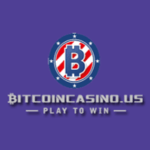 Like all Bitcoin casinos and sportsbooks, VegasCasino.io offers fast, reliable, and anonymous deposits made via Bitcoins. They only accept Bitcoins, so no other currencies and/or payment methods are accepted. This site offers incredibly fast withdrawals. The only delay a player may face when withdrawing their winnings occurs if they happen to withdraw incredibly sizeable amounts of cash. When this happens, a short delay is to be expected, whilst the casino verifies the win. This is rare, though. There is a bonus available at Vegas Casino. 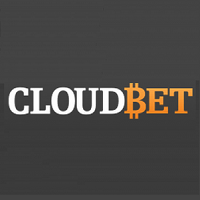 When a first deposit is made at the site, players can receive up to 1BTC in free cash, courtesy of a 100% match. There is even a bonus available on the second deposit a new player makes, to the tune of a 50% match and worth up to another 1BTC. All subsequent deposits at Vegas Casino.io are treated to 25% matches. A small loyalty bonus program can also be found at the casino site, although this is not yet fully functional. Expect it to hit grand heights once it is fully operational, though. Vegascasino.io bonus code is not required. Players who need a spot of assistance can get it rather easily at Vegas Casino.io. There is a live chat service which is available, and this will provide you with free, and efficient support. Should you decide that face-to-face isn’t your cup of tea, you can always use the e-mail option hosted at the casino. You can wait up to 6 hours to get a reply, though, so live chat is always recommended over e-mail if you query is something of a pressing matter. Whether you love to slap down bets on your favourite sporting events, fancy a crack at live dealer games, prefer a more traditional take on casino gaming, or simply want to spin those reels, Vegas Casino.io is an all-round quality place to play. Anonymity via Bitcoins, athe acceptance of US-based players, and having efficient customer support makes Vegas Casino.io stand out for the better amongst the top sites offering Bitcoin gambling.